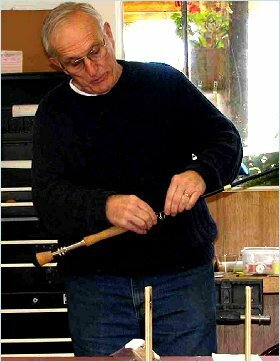 At this class, in which the typical student-to-instructor ratio is 2:1, you will learn how to select a rod blank that meets your fishing needs, and techniques to install the grip, reel seat, and guides. DVFF will supply the materials that you need, including thread, epoxy, rod wrappers, and misc. materials. You will select and purchase the rod blank and components. You can build your own custom fly rod to your specifications (line weight, length, action, guides, trim, grip and reel seat). The class consists of two Saturday sessions. At the first session (about 6 hours), you will install the grip and reel seat, and learn how to position and tie the guides. Then you will take your rod home for two weeks and finish tying the guides. At the second session (2-3 hours), you will epoxy the thread wraps and any other decorative features. Rod Blank & Components: $100-$400 depending on the blank, reel seat and guides you select. You can build a very nice, high-performing rod for well under $200. 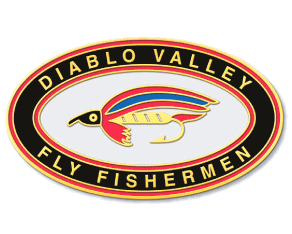 For more information and to sign-up (limited to DVFF members), contact Wayne Hofer. The dates for the next class will be announced on the DVFF website and Windknots.